Spirituality for the Christian believer and their unique relationship with God, brings about a deep passion. Although I'm not a Christian or religious in any way, I do recognize that this is definitely a group of people you can reach out to and connect with online. And not unlike any other group of passionate people, they are willing to spend money on things they are about. There are many businesses that have made a very lucrative existence from the passions of others. Does Hallmark ring a bell? There are many angles you can take regarding the Christian niche, but the overlying principle is about helping others to a better lifestyle full of love, friendship, and providing for those in need. It is a niche that has so many opportunities for both wealth and better living. Another basic principle of business is that you need to help people in some way to create a truly successful business. Again, this fits the bill! You do not need to be a Christian to benefit from this niche, but if you are you have the advantage of first hand knowledge and experience. If you like to help people with information and products that inspire and create, then this is the niche for you. Though interests are down in the graph above, they are starting to steady. And although it's never pleasant to enter a business where you see a downtrend, as one of the world major belief systems, Christianity will be around for many years to come. Actually, you might be surprised to know that an interest in Jesus is rising! This could be due to the fact that people have an interest in the principles, morals, and story behind the belief system, but do not want to be associated with some of the fundamentalists you hear about in the news. You can see in the next chart that Christianity is on the rise in the more impoverished areas of the world. This is showing us that in areas of hard times, the hearts of people are seeking the comfort religion provides. Needs create opportunities to earn money. Personally, I would focus on US and other markets that tend to have more money to spend, but it's completely possible to make money from a website with traffic, that does not even sell products. Display ads like Google Adsense pay per click, meaning you get paid whether a person buys something or not. Do not think that you will be limited in your scope for things to promote in this niche. It encompasses a wide variety of products and services that are in high demand by many people from various religions and demographics the world over. You could divide this broader topic into many different sub niches. As always, I try to think about who I am talking to in order to define my target audience. Here are some potential ways to narrow your audience. Christianity can be applied to many things there are many interpretations of it. If you are passionate about reaching out and helping others to better their lives financially, spiritually, physically or personally, then you already have an audience of eager listeners! Take any product, give it a wholesome, traditional family spin, and suddenly you have a new target audience. T-shirts, books, toys, movies, games, and transportation. Yup, there are even Christian motorcycle groups! Even tech items like iPhone cases and iPad covers can be associated with Christianity. Who remembers the WWJD bracelets from the late 90's/early 2000's. Those things weren't free ya know, so someone was making money off of it. Quick Thought: Should You Feel Guilty About Making Money? One thing I had considered before writing this is whether or not someone would have issues making money from their religion. Is it wrong? These are real questions people are asking, and YOU can provide them with the answers they need! You can also check out my post about getting paid to write about Christian topics for more information about making money online talking about something you love. In doing my research into this niche I came across some really interesting and cool niche products. It’s not all Bibles, posters and candles as one might think. My advice to you when doing your research in this niche, would be that you approach it as if you were researching a demographic kind of niche. When looking for affiliate programs, the best way is to go up on Google and type in, “Christian + Affiliate Programs” and then click search. Being that Christianity can be applied to many different things, you will receive a lot of results. Alternatively, you can put your own spin on things and find products you think fit within your interpretation of this religion. For example, a website targeted at Christian teen film makers could advertise some video editing software. Although this isn't specifically a type of software marketed to any one religion, this product would still fit well in your website. However, just to make this post more specific, I've chosen some affiliate programs specifically related to Christianity. Originally, I had a big writeup of three great Christian affiliate programs, but they've since (all three of them) canceled their affiliate programs, or closed down their website. Please check out these below, plus I have a new page with some alternative Christianity-themed affiliate programs worth checking out. FYI – these are HUGE search numbers compared to some other niches I've researched! The Christian niche is highly profitable and what makes it so is that everyone’s relationship with God is different. Because everyone will express that relationship differently, it opens up a wide variety of target niche markets in which you can make a full-time income while helping others. I am not sure how you will approach the creation of your Christian niche website but I know how I would do it. My advice would be to try and follow my lead, but with your own characteristics of course, and select a type of Christian you wish to target with your website or perhaps the type of Christian you can relate to. So what would I do? I would first look at some of the things I enjoy doing and make a list. Here are three of them. In regards to the first two, any video game that does not glorify violence in any way could be considered a Christian video game, and the same goes for music. But even with those kind of niches, I would dig down more to make them more specific. In regards to video games I would choose to do Christian video game reviews of action & adventure games. I would describe which games do not have any kind of demonic undertones or gratuitous violence. This could also go into which ones are OK for young kids to play, versus which ones are better for teens. For music I would focus on the less traditional forms of music like gospel, and target the rock and heavy metal-style bands that are very popular with young Christians. I would also narrow it down further to either rock or heavy metal, or country since those seem to be the most popular. From the following video you probably can't tell what they're saying, but if you read the lyrics it makes more sense. As for travel many of the places mentioned in the Bible are favorite destinations for Christians. Places like Jerusalem, Athens, Rome, Jordan, and the Pyramids of Giza to name a few. I would offer discount travel packages that are available and even Christian church cruises than many church groups offer. There are just so many possibilities I could focus on for a Christian niche website and I didn’t even touch any of the religious or spiritual aspects of the niche. That is one of the many great features of this niche, it doesn’t have to be religious. KEYWORD RESEARCH: This is going to be crucial because you will need to determine what people will be typing into the search engines to find answers to their queries. Remember that your keywords should be targeted to a specific segment of Christianity, not as a whole. I have seen some websites on this topic, and they all make the same mistake. They talk on and on about how they love God and Jesus, and other things related to worship. That's all find and dandy if they want to write that, but it's not going to bring visitors to the website. You can also write about that stuff, but you need to spend time focusing on what's going to bring visitors to your site so you can make money. After all, we are starting a business, not an online diary! I am very confident that the Christian niche will be a very profitable one. If you've decided to enter into this niche, but need some help figuring out which direction to take your business, or even just how to build your first website, I can help! 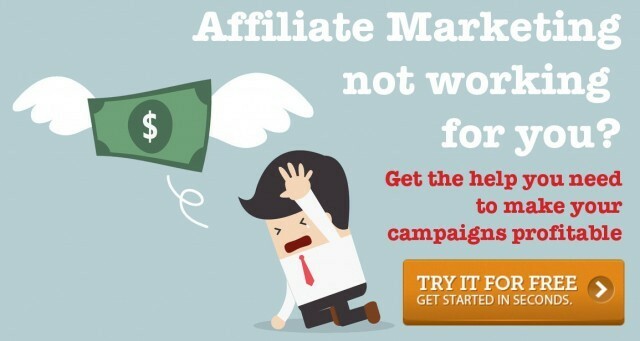 If you feel stuck, or somewhat lost as in how to get started with your affiliate marketing Christian niche website, I highly recommend you joining me within the Wealthy Affiliate training community. This is where I have learned the majority of what I know about online business and I would be happy to help get started. It's free to join, and you can start your website for free! Just a quick FYI: Wealthy Affiliate is not a religious website and you are not allowed to promote religion or politics within the community. The community is business focused, and everyone will choose a different topic for their online business. Wealthy Affiliate is for learning and growing an online business, no matter what topic you choose that website to be, so no one will discriminate against you either! You will be able to share your website, as well as tips and feedback in an objective manner on how to grow your business and start earning a profit. I am just embarking upon this adventure and will research this niche more thoroughly, as it is my passion. However, I am a bit confused about some of your information; your number one choice for a Christian Affiliate does not have an affiliate program. I have emailed them to inquire about such, and they “do not allow their products to be sold on any eCommerce sites.” They offer wholesale purchasing to sell on personal websites or Facebook. So seemingly, the information on commissions is untrue as any revenue produced from these products would have to be via profits from sales and not commissions. It seems that all my Top 5 choices have since gotten rid of their affiliate programs. This post was written several years ago! Thanks for the heads up, I’ll edit this today. Again thanks for this wonderful post. On Saturday 12/1/2019, I told my Pastor I want to create a blog that I could send out Christian messages and to explain scriptures. But I thought it was bad to make money from that, and he told me there was nothing wrong, now your post confirms it too. Thanks very much. Now I’m trying to gather some money to start. Making money is really the only way to make a hobby, or task, sustainable. If you want to do this on a regular basis, work it into a business model and you can pursue your passion forever! You will actually get answers out of the real source which is the word of God. One of the most popular areas spoken by Jesus was with the subject of money. Matthew 25 gives a good view on how Jesus viewed money. Some versions use talents and other use Bags of Gold. You are right when Jesus viewed money it had everything to do with how we use it. We see an excellent example when Jesus speaks on the rich man in hell. The rich man tries to get Abraham who was very wealthy to speak with his family members about where he currently resides. The rich man in hell is reminded that during his life time he did not use his money to help individuals like Lazarus who was a beggar. Abraham was very compassionate and Jesus called him a good friend, because he helped individuals such as Lazarus. Because Jesus had cast this man in hell, Abraham reminded him that there was a gault placed between him and this man by Jesus. In other words Abraham would not go behind Jesus back and do something which Jesus had put in place against this rich man. So yes it is a good thing, and many times in the bible you will see Jesus reminding us of the reward of prosperity when we listen and do as he has instructed us to do with our wealth. I’m a Christian Affiliate Marketer myself. I found value in your blog post and felt I should leave a comment. You have a legitimate point when you say Christians are willing to spend money on things that they’re passionate about. I worked with this for a while. When I read your blog post I saw myself as an example of a Christian Affiliate Marketer who tries to do it the right way. I do what you say – and it works. It’s all about trying to help our audience. The values you mention (better lifestyle full of love, friendship, and providing for those in need) are great guide lines where to begin. I’m a Christian myself. Christianity is VERY important to me 🙂 but I can follow you when you say you don’t need to be a Christian to add value in this niche. My resource page is a good example of this because what I link to and earn a commission from has nothing to do with my faith, but it contains products that help Christians. But as you say, when I’m a Christian myself I have some insider-knowledge that enables me to identify how to improve the web experience for Christians online. My favourite part of your blog post is where you ask if we should feel guilty about making money online. I see many Christian who struggle with this question. Personally, I’m proud of delivering something to the web that people are willing to pay for. Just want to wish you good luck with your blog in the future. There’s nothing evil about making money. The root of all evil isn’t money. It’s “the love of money”. There’s room for charity in every society, but starting a business isn’t a sin. Churches make money, don’t they? Churches make money for different reasons though. Catholic churches make money so they can spread the wealth to the poor and other disadvantaged as well as to keep programs alive that help those in need. And no, it’s not a sin if you’re doing it for the right reasons. The catholic church is a business like any other. AS a Christian (and I don’t take that as lightly as most Christians)…I must say, this is one of the oddest articles I’ve ever read. My spiritual hat’s off to you Nathaniell…in that I actually got some wise counsel out of your information. You have given me a few niche ideas for affiliate marketing for my very Christian website. That said, I’m well aware the term “Christian” tends to throw us all into one giant floundering boat…but it’s not truly so. 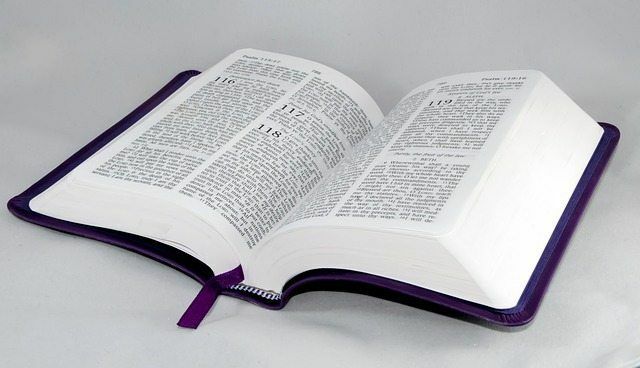 For those of us that are true Christ believers…all scripture regarding him, God’s heart, God’s will (versus our own made up opinions, church religion, rules and regulations and the much dreaded, Church traditions)…is a vital necessity to walk a faith filled walk. Funny, a non-Christian explaining what Christians might want to know and read about. When you mention Jesus being on the rise – there is a lot more to those facts then of course you are going to understand – but I sure got a kick out of your take on it. That needy people need comfort and non-Christians can be there to give it to them…for a price? How sad for all involved! But oh too true…Christians…or want to be’s …going to the wrong place to get their need met. Those seeking God and His Word, His son…should find them…not a two-bit money earning article written by someone who doesn’t even believe. In the end…God’s will WILL be done…that IS a scriptural promise (and I’ve seen hundreds of other promises come true – and so I have no doubt every written promise will see it’s day). A God promise is…”He who hungers and thirsts after righteousness (of Jesus Christ) SHALL be filled.” – SO…a true seek on should get folks to the right place…like my website and others. Christianity gets a bad rap from those claiming to be Christian because they may have believed on Jesus and got born again….BUT – know absolutely nothing about walking out a God, in Christ lifestyle. Christianity IS NOT a religion – true Christianity is a relationship. For those of us that have sought to have it – have the signs, miracles and wonders that scripture talks about…”follows those that believe.” We have all the proof we need. I’ll tell you what….one Word from God can change your entire life. You should consider seeking one. Believe you me….IF you or anyone else ever saw, heard, manifested the true power and ability of God and His spiritual kingdom…YOU would become a believer also. Since of course, that is obviously not the case….it amuses me to read some of your comments. One thing I consider a mistake…you seem to believe that a non-Christian can be a Christian blogger. What a sad thought. I pray it is not so. First of all – to be a truly prosperous blogger – you would have to be passionate about your niche. You will not be successful in the long term and make money if you’re not passionate about what’s on your heart to write about. Anyway, like I said – a very unusual post. Thank you for your time in giving a true Christian ideas for Affiliate links. It’s a bigger potential then I realized. Christianity IS a religion, not just a relationship. It’s fairly obvious that if you read the bible, study history and theology, then it’s pretty clear that Jesus left a church, not just a feel-good relationship. I feel sad that you find the traditions Jesus left the apostles as “dreadful. You sound just as condescending and in-Christian-like as the author does (no offense to the author, but yes, it’s noticeable that you’re irreligious in your tone). Great post. I was wondering if it would be wise to tackle multiple sub niches on one site? I think it would be fun to do Christian music/movie reviews but I also would love to do opinion pieces on Christianity, as well as personal stuff. What do you think? Any long-term site will have “sub niches”, so yes, the idea can work. The trouble is if you take on too much, it can be overwhelming. So if you did “modern christian media” as your niche, you could do music, tv, movies, and even phone apps or something like that. But if you get into in-depth bible study, clothes, politics, retreats, etc etc. then you could get burnout trying to cover everything. Opinion pieces will happen in any niche. They might not get awesome traffic, but as a site owner you can make the call when you want to spend extra time relating to your followers and not worry about writing traffic-related posts. Thanks for being so thorough in your research here! My wife and I just launched a Christian niche website, geared towards helping people overcome different challenges in their life (one of which being working for themselves instead of others), and this is a huge help for some ideas that I’ve had floating around but haven’t been able to get them in order. I appreciate you being factual in your approach here as well, even with not sharing our beliefs (but understanding them), in true Wealthy Affiliate “DNA” style! I will add a plug here and let other Christians (and other belief systems as well) know that if you’re looking for a way to start a business online to be able to share your passions and help people, but you’re not sure where to begin, Wealthy Affiliate that Nathaniell mentions in his post here has been a TOTAL blessing for my wife and I to have the platform to pursue our calling that’s been placed on our life. Thanks again Nathaniell, wishing you tons of success! Thanks for the comment Josh, and I hope you found this post useful for your business. Good luck with Wealthy Affiliate‘s training too! I know that they will be able to help you get your business rolling, no matter what the topic is. Hey Nathaniel…thank you for sharing this information. Awesome job! I just started an internet business venture in the Christian men’s niche. Your post is very helpful to me. A website for Christian men is definitely an awesome idea. There are absolutely things that apply to men in any religion that will be different for women. Concepts like how to be a leader of a family, how to be a strong husband, how to relate to your son, or teach your daughter about the birds and the bees. Maybe I’m old school, but I think that a mom and a dad have different roles in the family (equally important!). Anyway, just mean to say that I really like your idea. The same could be done for a Christian mom website as well. But I was wondering if it could be profitable in an ethic way for me and I think you answered the question pretty well. I have bookmarked the page and even took note of the different sub niches I can target. So again, thank you. And I wish you great success in your own venture! I think it’s definitely something you can ethically do. Pastors and preachers get paid, right? Even owners of non-profits get paid! If you make teaching others about your religion, there’s nothing wrong with getting paid to do it. Hi,this is the most encouraging words i have ever received in my search to become a christian freelancer.how do i choose the right domain name? do you have newsletter? I do have a newsletter/email course you can join here You can check out how to pick a good domain name as part of my free series of posts on how to build your affiliate business. Hope that helps! You can turn any passion into a business – doesn’t matter what that passion is!